Discover a new standard in safe and effective scar removal, performed by the number-one cosmetic treatment clinic in London. HSA Dermal Clinic is proud to offer the latest ResurFx Laser Scar Treatment technology, revolutionising scar removal for the 21st century. ResurFx technology has become the industry standard among the world’s most advanced and capable clinics, using non-ablative resurfacing technology for maximum effectiveness with minimal recovery time. If looking for a more effective approach to laser scar treatment in London, we strongly recommend considering ResurFx scar removal. ResurFx works by delivering carefully controlled laser beams beneath the surface of the skin, precisely targeting the problem areas while leaving the surrounding tissues intact. This advanced form of laser scar treatment stimulates the production of collagen and elastin, which in turn leads to a smoother, tighter and generally healthier appearance on the surface of the skin. Along with incredibly effective scar removal, ResurFx can also be used to treat a variety of conditions and complaints such as sun damage, acne scars, stretchmarks, fine lines and general issues with skin tone and texture. HSA Dermal Clinic is proud to offer the most advanced ResurFx laser scar treatment and scar removal services in London. For more information or to arrange an obligation-free consultation, contact a member of our customer support team today. ResurFx technology has revolutionised the process of removing scars for those looking to avoid traditional surgical options. Here at HSA Dermal Clinic, we work exclusively with the most advanced ResurFx technology, delivering unbeatable results by way of the safest and simplest non-invasive processes. 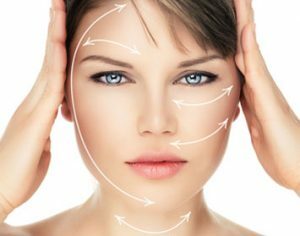 Our experience and expertise in removing scars from all areas of the body are unrivalled, earning the HSA team an established reputation across London and Surrey. For more information on removing scars using the latest technology or to arrange an obligation-free consultation, contact a member of the HSA Dermal Clinic team today. One of the biggest advantages of ResurFx technology is the way in which it uses a non-ablative approach to resurfacing, which is significantly gentler and less invasive than traditional resurfacing. Controlled microbeams penetrate the skin, directly targeting the problem areas without having any impact on the surrounding tissues. ResurFx technology stimulates the production of new collagen and elastin, which then effectively remodels the treated area to create firm, supple and youthful-looking skin. What’s more, as ResurFx technology is incredibly gentle and suitable for most skin types, there is little to no downtime involved and little to no risk of side effects.